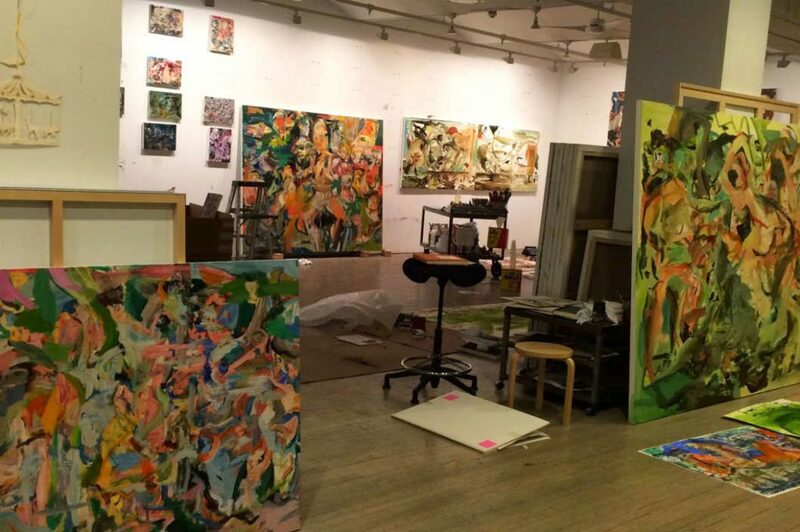 Cecily Brown, a painter who recently left the Gagosian stable and has a show at Maccarone this month, parents a six-year-old daughter with architecture critic Nicolai Ouroussoff. In a recent interview on Vulture with Julie Belcove , Brown talks about her experience of being a mother. lucked out; she’s a good kid. Fingers crossed we don’t screw her up. feeling they’re not doing well enough. Happy Mothers’ Day everyone. Try not to spend it in the studio! LOL! I did spend part of it (Mother's Day) in the studio. The rest of the evening was spent with the family. I think I have given up on trying to "balance" everything. Now I am going for fully "integrating "all the things that are important to me in my daily life.